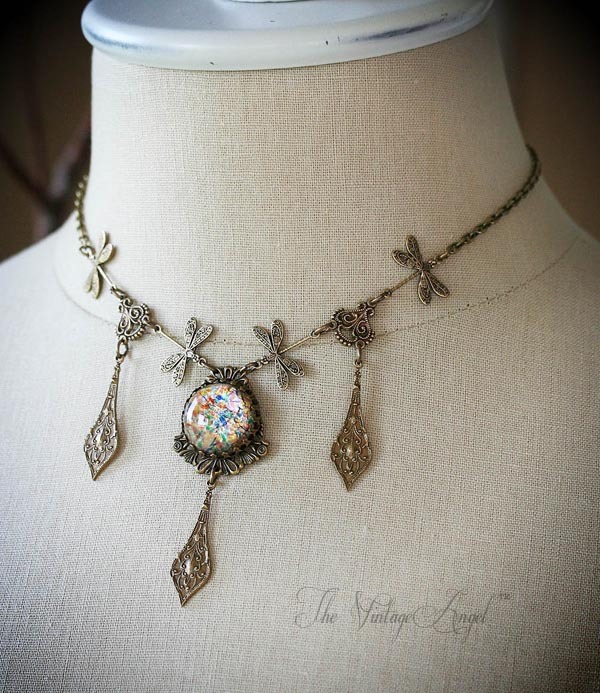 This exquisite Art Nouveau inspired dragonfly necklace features ornate stamped and antiqued brass surrounding a mesmerizing Harlequin glass opal in colorful swirling shades. 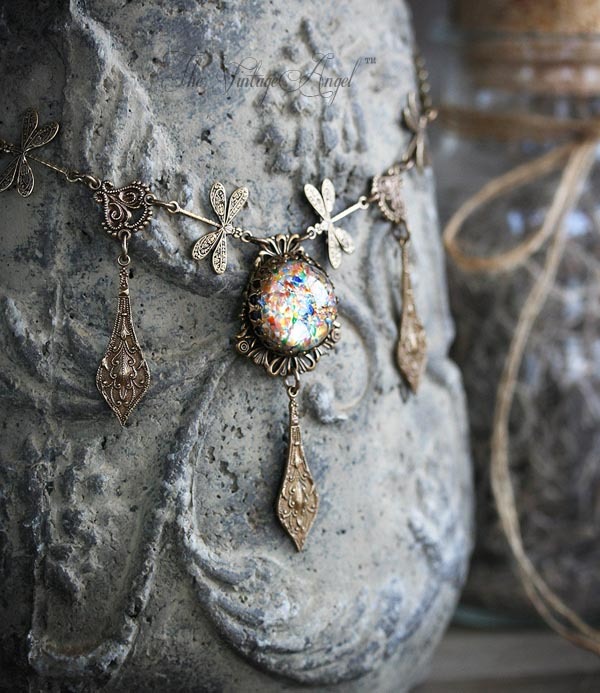 Ornamental drops and dragonfly connectors make this a truly detailed, statement piece. The necklace comes at an adjustable length from 15" - 19" and looks best worn at the collar bone. 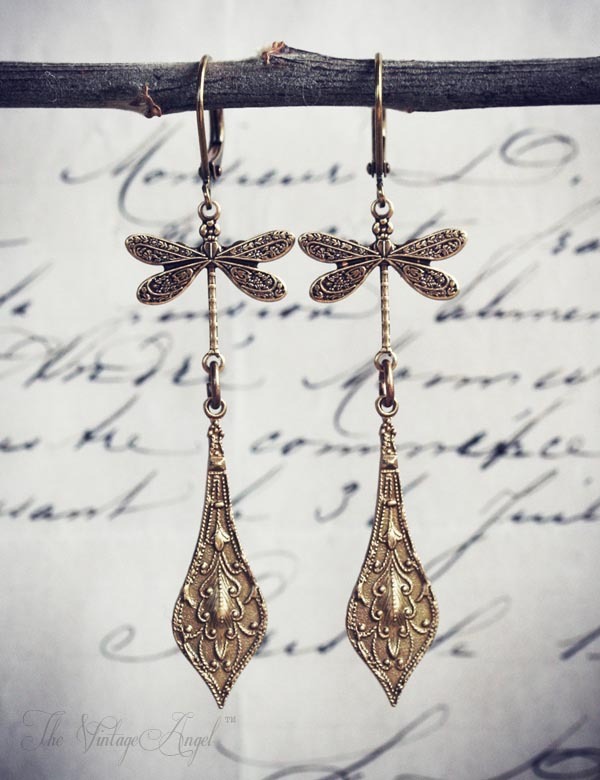 Matching dragonfly drop earrings come with as shown, featuring antiqued brass leverback hooks for pierced ears. This show stopping, matching set comes gift boxed together, and is made to order (please allow for a 1 - 2 week lead time).